A lot of people are interested to know how to grow turmeric in their own home. This is because of the many benefits that it brings. Growing the plant is not really very difficult. Although it can be best grown in a garden, it can also be grown in a container indoors. 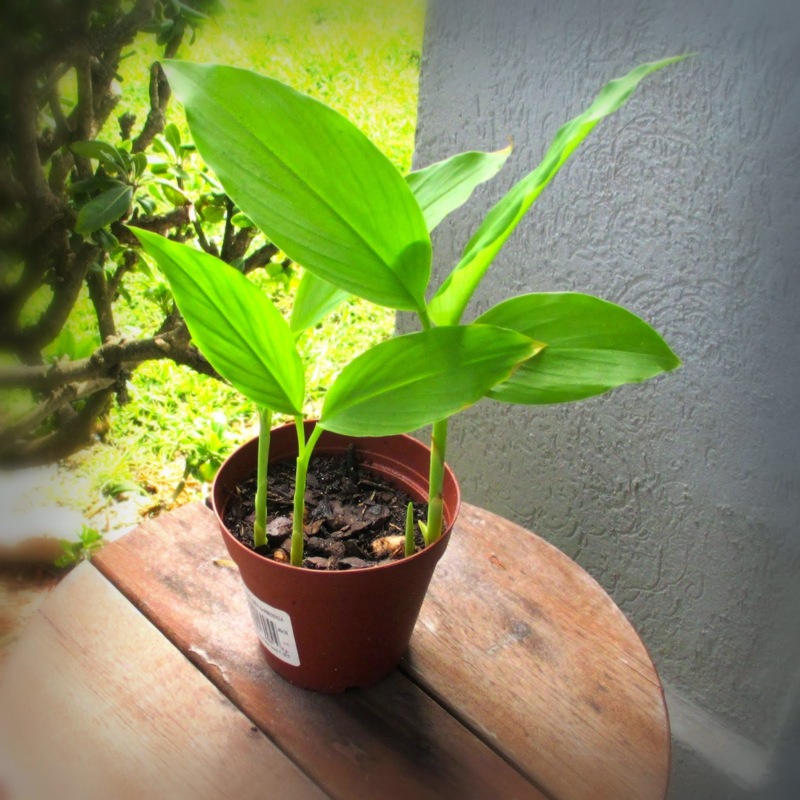 The good thing about the turmeric plant is that it can tolerate any changes in the weather up to a large extent. Its lush green leaves can also make it a great plant to grow indoors. Here’s how to grow the turmeric plant indoors and enjoy its many uses and benefits. When it comes to learning how to grow turmeric indoors, you will need to use a container or a pot. Begin by looking for a suitable pot or container at your local garden supplies store. You should choose a large and deep pot and is about 1 ½ foot in width. The most ideal container to use for growing turmeric plants are medium to large sized pots. Fill the pots with rich organic soil and make sure that it is lightly moist and well drained. The ideal pH level of the soil should range between 4.5 and 7.5. Start digging holes in the soil up to five inches deep. Afterwards, bury large pieces of the turmeric rhizomes with nodes in the holes you have created. When buying rhizomes, choose only those that are firm. Avoid the diseased and rotten ones. It is usually during March that turmeric plants tend to grow best. It will take up to eight months for it to fully mature. As a result, you will get your harvest around winter before the frost will start to set in. In warmer regions, the plant can be grown any time of the year. The same process should be followed if you grow the plant in seeds and in rhizomes. Here are more important things to know when it comes to learning how to grow turmeric at home. Add a mix of organic fertilizer and manure in your soil. Spread a layer of mulch to keep the plant protected against cold. After every six to seven months, the fertilizers must be replenished. It is ideally recommended to grow the plant in areas with temperate weather and good humidity. Place the pots in areas that receive a lot of sunlight, ideally beside a windowsill. With regular watering, the plant should be able to survive even under direct sunlight. If the temperature will reach less than 65 degree Fahrenheit, artificial warming is needed. Regular watering is important to keep the soil moist, which should be up to three times a day. However, avoid overwatering the plant as this can also lead to the demise of the plant. Daily misting session with the use of spray bottle can help the plant to remain healthy. At the end of the season, the foliage will begin to wilt and die. The turmeric may be ready for harvest at this time. It is best that you take all the rhizomes at the same time. You should be able to get about 500 grams of fresh roots coming from each plant. When you learn how to grow turmeric indoors, it is important that you know how to care for the plant. After the turmeric saplings have grown, you will notice the plants to grow up to four feet tall. During summer, the plant will produce white and green cones around its yellow flowers. You need to cut the plant to the ground to promote the growth of the roots. The foliage will grow once again and wilt for a final time. This will happen just before winter starts. This will also signal that it’s already time for harvest. It is also important to know that your turmeric plant is susceptible to pests and diseases. Aphids and mites will eventually attack your plant. So beware of these insects and wash them immediately with a spray of water. The plants might also suffer from leaf spots. Such condition can be treated with certain fungicides. Now that you know how to grow turmeric, it’s time to learn about its uses and benefits. So read on to find out more about the turmeric plant medicinal uses. Turmeric is mainly used as a spice and to treat certain conditions. The turmeric spice is commonly added in various Asian foods. It is the main spice in a curry dish and usually has a warm and bitter taste. But perhaps the biggest benefit of turmeric is that it is used to treat certain medications. Several medicines are made out of the roots of turmeric. Its root contains a chemical known as Curcumin, which is said to decrease swelling or inflammation. It is for this reason why experts believe that turmeric can help to treat any conditions that involve inflammation. Below are some of the turmeric plant medicinal uses. Research shows that taking turmeric extract twice a day for three months can help to reduce the level of cholesterol. It also reduces the LDL or low density lipoprotein, also known as the bad cholesterol and helps to lessen the triglycerides, which is beneficial to overweight people who have high cholesterol. Taking turmeric extracts alone or along with other herbal ingredients can lessen pain. It can also improve functionality for people suffering from osteoarthritis. In some studies, turmeric works in the same way as Ibuprofen in reducing the osteoarthritis pain. Research also suggests that taking turmeric thrice daily can reduce itching among people who have long term kidney condition. Also, taking turmeric along with specific combination product that has Curcumin can reduce the severity of itching. It also helps to improve the quality of life for those with chronic itching that’s a result of mustard gas. As you see, there is a long list of turmeric plant medicinal uses. Today, it is mostly recognized as an essential part of the curry powders. It is also responsible for the curry’s strong color and forms an essential part of India’s preservatives, such as wafers and pickles. In fact, it’s hard to imagine any Indian dish not having turmeric. 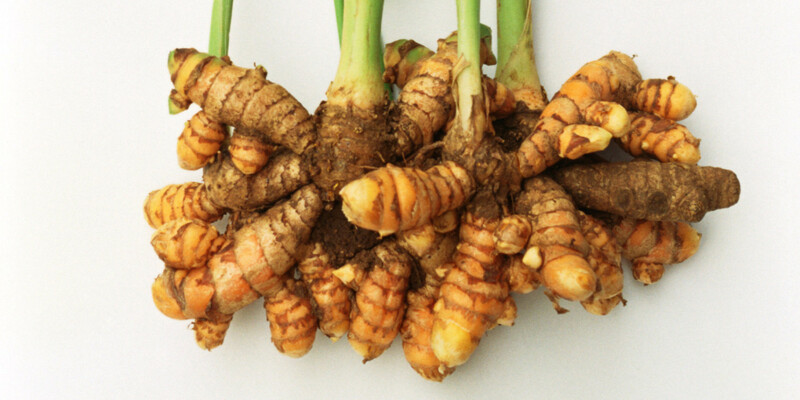 To create turmeric spice using the rhizomes, boil it for at least 45 minutes in water. Dry them in the shade for about a week until it becomes hard. You can then grind them to produce a powder using mortar and pestle or food processor. •	Avoid overwatering the plant, as this will slow down its growth. 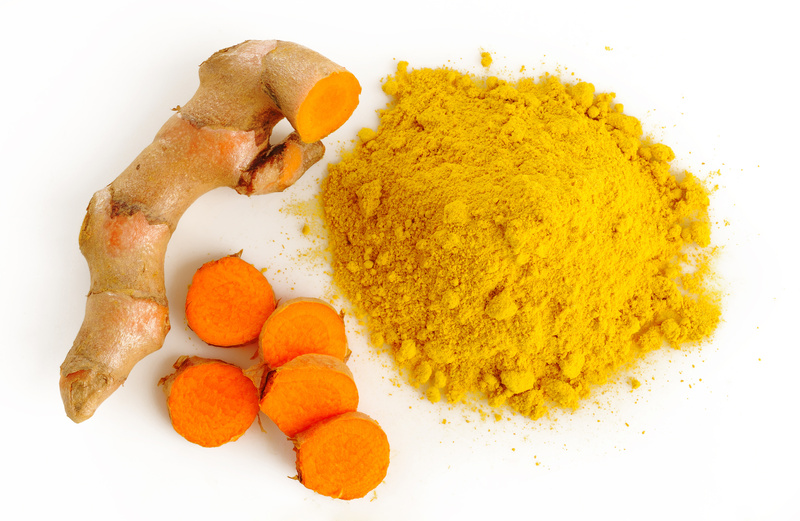 •	When handling the turmeric, it is best to wear gloves because your hands could be stained by its yellow color. •	After you harvest the roots, make sure to store them in a cool, dry and dark place. So as you can see, the process on how to grow turmeric at home is just easy. 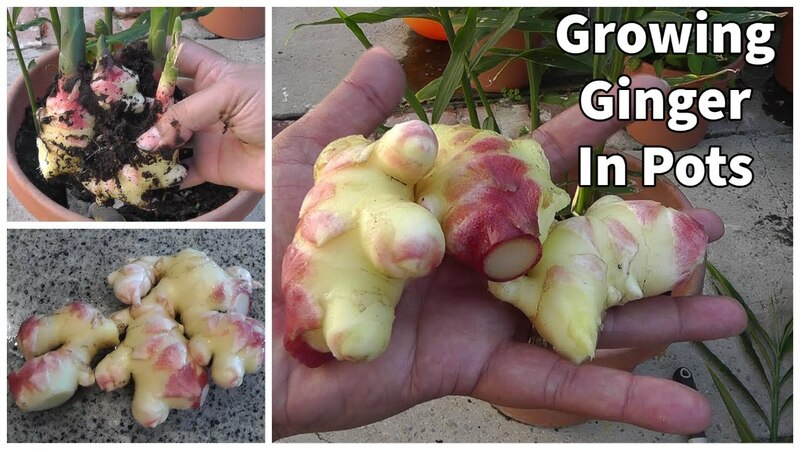 You can also try growing ginger and other root vegetables in the same fashion. If you have a huge space in your yard, consider building a vegetable garden where you can grow these root vegetables outdoors. 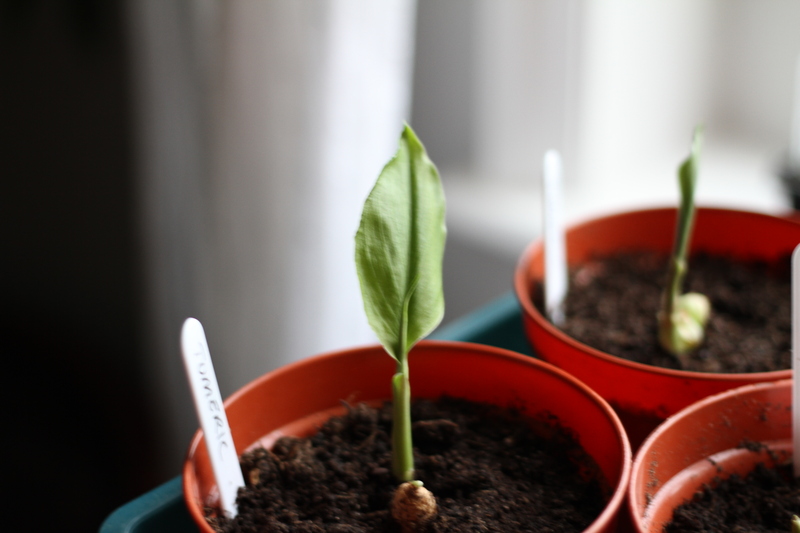 The wider the area, the more roots your turmeric plant can produce. You can now enjoy the uses and benefits of turmeric at the comfort of your home with the help of these tips on how to grow turmeric. Gardenoid.com is a participant in the Amazon Services LLC Associates Program, an affiliate advertising program designed to provide a means for sites to earn advertising fees by advertising and linking to Amazon.com.